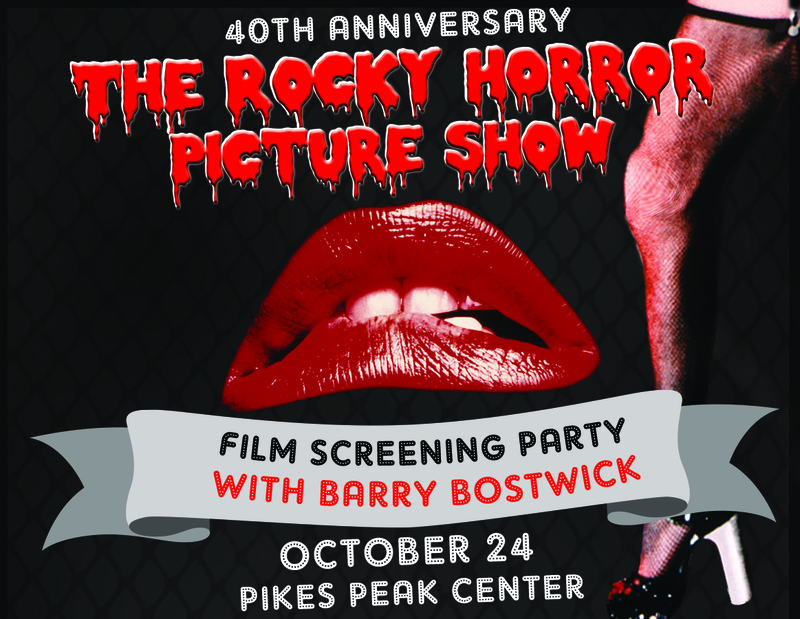 Thu Aug 31 2017 - Celebrating the 40th anniversary of his iconic film, Golden Globe winning actor Barry Bostwick is coming to the Pikes Peak Center on Tuesday, October 24 to present The 40th Anniversary Rocky Horror Picture Show Film Screening Party with a shadowcast - live actors performing each scene along with the film. Fans will have the opportunity to view the film and shadowcast performance, enter a costume contest judged by Bostwick, then hear behind-the-scenes stories from "Brad" himself as Barry Bostwick takes the stage and engages in a talkback and audience Q & A. Tickets start at $38.00 (plus applicable service fees) and go on sale Friday, August 18 at 10 a.m. at the Pikes Peak Center and Broadmoor World Arena Box Offices, online at BroadmoorWorldArena.com and AXS.com or via phone at 719-520-SHOW. VIP Tickets, which include premium seats, a post-show VIP Meet & Greet with Barry and more, can be purchased for $85 (plus applicable service fees). For the past four decades, fans have been giving themselves over to absolute pleasure, dressing up as their favorite "Rocky Horror" character, and shouting lines and singing along as they follow the film and emulate the characters. The Pikes Peak Center is encouraging fans to come in costume as their character of choice and be a part of the audience as they dance the Time Warp and sing their loudest "Hot Patootie" during the film. One person will go home with the glory as the winner of the costume contest personally selected by Bostwick.